Chica Brava is Nicaragua's first and best women's surf retreat. We empower women through the process of surfing and the genuine camaraderie that comes through sharing a lifestyle, a sisterhood, and a passion for the most rewarding sport on the planet. It’s about a pack of women together in the line up, united by what they love. This is your chance to let go, invest in yourself, and feel confident, invincible, and powerful regardless of your size, strength, or stature. At Chica Brava, the past doesn’t matter. It’s about the right here, right now, boundless opportunities that embrace you in the water. Come. Get stoked in style with us. 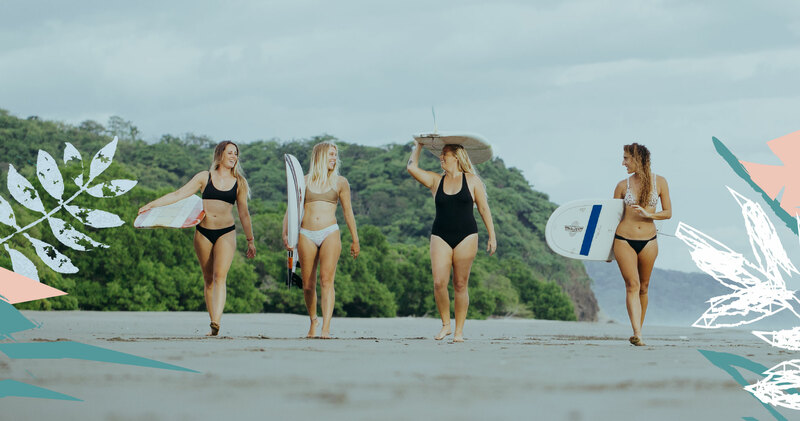 As the founder of Chica Brava, Ashley Blaylock traded in her secure career as a Texas attorney to open an all-girls surf retreat—the first of its kind in Nicaragua. Today she is the proud owner of Chica Brava where she shares her passion for surfing with women from around the world. With 300+ days of offshore wind and un-crowded waters, nearly everyday is ideal for surfing in San Juan del Sur, no matter what your level. When you sprinkle in warm water, groomed waves, and empty beaches, you’ve got the makings of a world-class surfing destination. Come get your level on!